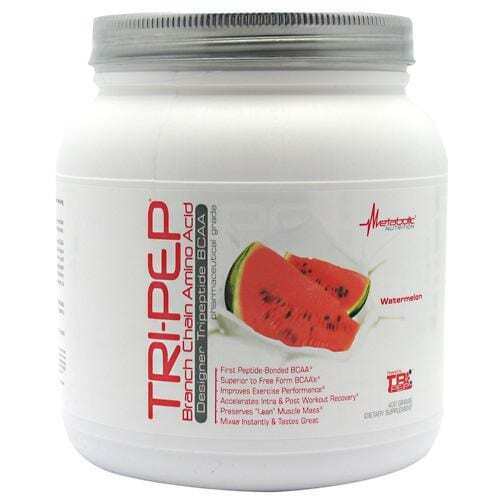 Tri-Pep is a bodybuilding supplement from Metabolic Nutrition that has been designed for individuals who are after improving their workout performance and physical activity*. In addition, the formula has been designed using amino acids which are clinically known to preserve lean muscles*, accelerate recovery* and reduce muscle fatigue*. 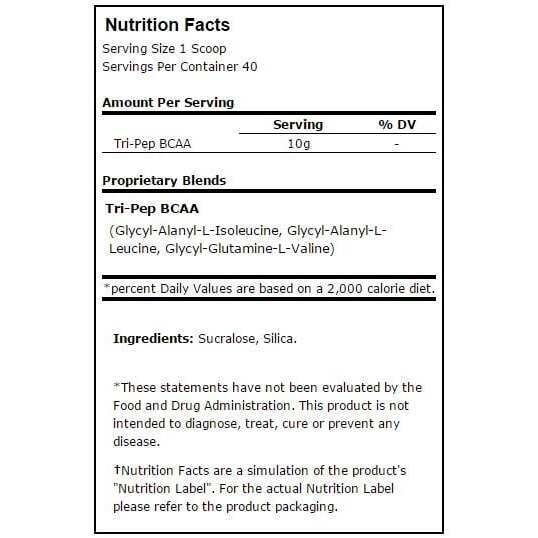 Metabolic Nutrition Tri-Pep has been manufactured using pharmaceutical grade nutritional ingredients that have been formulated by medical doctors and certified by scientific research*. 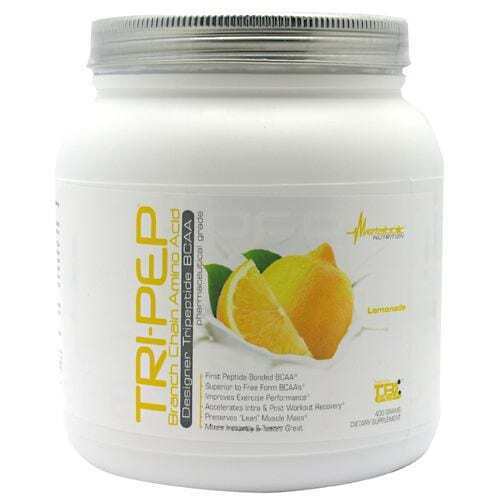 Tri-Pep formula is the first bodybuilding supplement in the market that has been designed using the “peptide-bonded” BCAA*. Tri-Pep peptide-bonded BCAA comprises of three essential amino acids*; Valine, Isoleucine and Leucine in the right ratio*. 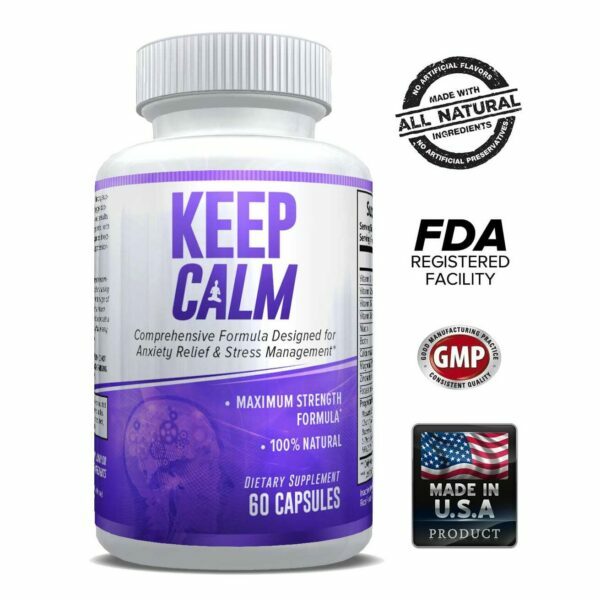 These are the three essential metabolic co-factors within the supplement that have a unique chemical structure in order to increase the formula bioavailability and absorption*. Once the Metabolic Nutrition Tri-Pep is absorbed in the blood-stream, the plasma and muscle concentration of the BCAAs increases resulting to inhibition of lactic acid buildup and muscle glycogen levels elevate*. This ensures greater workout endurance due to increased energy* and prevents lean muscle tissue breakdown*. In addition, Tri-Pep supports nitric oxide production*, protein synthesis*, IGF-1 release* and human growth hormone synthesis*. This enhances the growth of lean muscles*. Tri-Pep is a popular supplement among endurance athletes and trainers who are looking forward to boosting their performance and muscle growth*. This is because the supplement has been formulated using the three branched chain amino acids (BCAAs) in the right proportion*. According to research, BCAAs can cross the blood-brain barrier and increase the production of serotonin in the brain’s interior*. 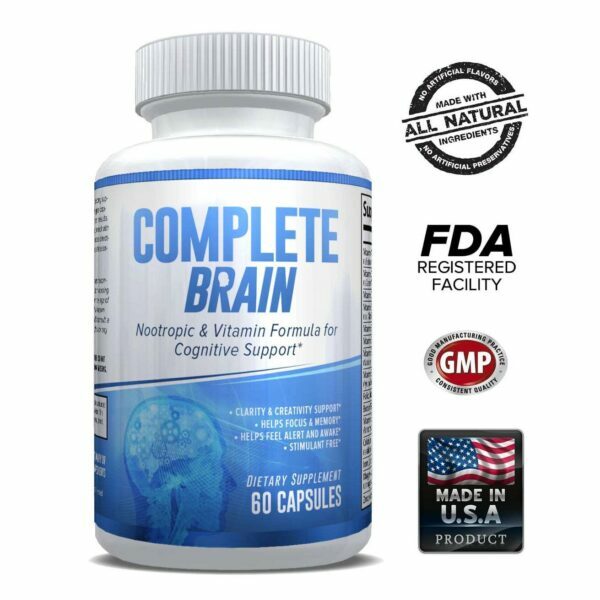 This helps to lower mental fatigue* and improve mood* and sense of well-being*. When training to develop a powerful and stronger body, it is important to fuel and stimulate your body muscles at the cellular level*. Isoleucine, Leucine and Valine according to research make up approximately one-third of muscle protein*. BCAAs are known to speed recovery*, reduce muscle fatigue*, help the body to absorb protein* and decrease the loss of other essential amino acids from the body muscles during workout*. During training, BCAA’s become rapidly depleted from the muscles*. According to research, a deficiency in any of these BCAAs results to constant muscle loss*. For this reason, it is important to get your body supplemented with BCAA using Metabolic Nutrition Tri-Pep*. Taking this supplement before or during training reduces muscle fatigue and increases performance*. In addition, taking Tri-Pep immediately after workout along with a post workout meal will increase muscle recovery*, boost the levels of BCAAs in the muscles* and lower the blood levels of Cortisol*, a steroid hormone that destroys muscles and increases stress*. Metabolic Nutrition Tri-Pep provides superior physical stamina* and increases muscle recovery*, endurance* and stamina*. In addition, the supplement increases the body levels of BCAAs*. The three branched chain amino acids are known to act as nitrogen carriers and assist the muscles in synthesizing other important amino acids that are necessary for anabolic muscle action*. Furthermore, the supplement increases the production of insulin* which increases glucose uptake in the muscles*. This results to increased muscle energy and growth*. As part of a weight lifting regimen: Stir 1-3 scoops into 12 to 36 oz of water and consume before, during, and after your workout. As part of a Crossfit training regimen: Stir 1 scoop in 12 oz of water and consume during workout, and repeat dosage immediately after training*. Depending on intensity and duration of workout, you may consume up to 3 scoops w/36oz water during extended competition. As part of an Endurance training regimen: Stir 2 scoops in 24 oz water and sip throughout entire workout. * As part of a Weight Loss regimen or for Bariatric patients to preserve “lean muscle mass”, stir 1 scoop into 12 oz water and drink immediately before your first meal of the day. For strict dieting add one dosage at night before bedtime. On Non Training Days to further speed recovery* and preserve muscle mass*, take 1 scoop with 12 oz of water in the AM and PM*. Additionally for added physical endurance, muscular pumps, and increased strength, add 1 serving of Tri-Pep to CGP, TAG or to any pre-workout supplement or other Metabolic Nutrition product to further enhance desired results*.